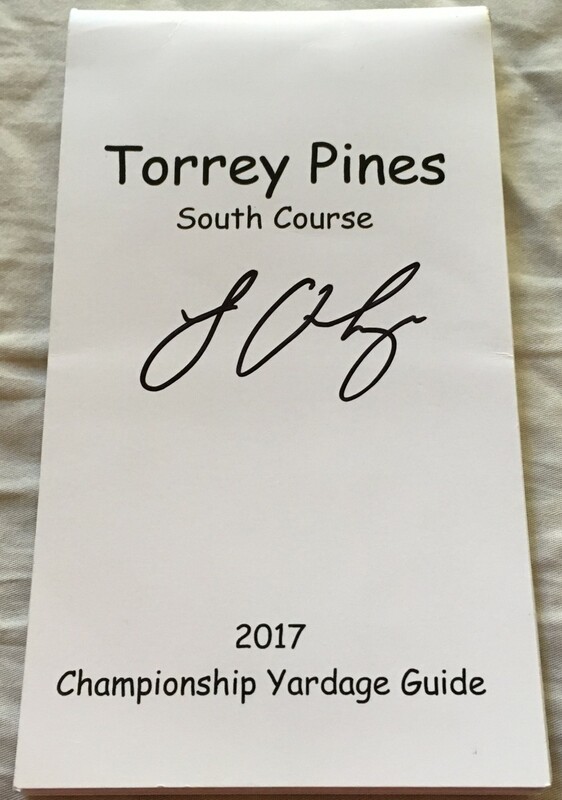 2017 Farmers Insurance Open PGA Tour Yardage Guide book used throughout the tournament by British Open winner Louis Oosthuizen (he finished T-41 at Torrey Pines) autographed on the cover in black Sharpie. Guide is thoroughly marked and notated in pencil on almost every page. 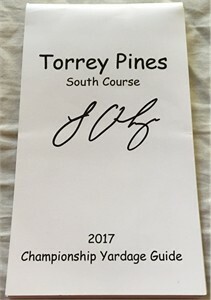 Guide was obtained in person from Oosthuizen's caddy, autograph was obtained in person at later tournament. With certificate of authenticity from AutographsForSale.com. ONLY ONE AVAILABLE FOR SALE.